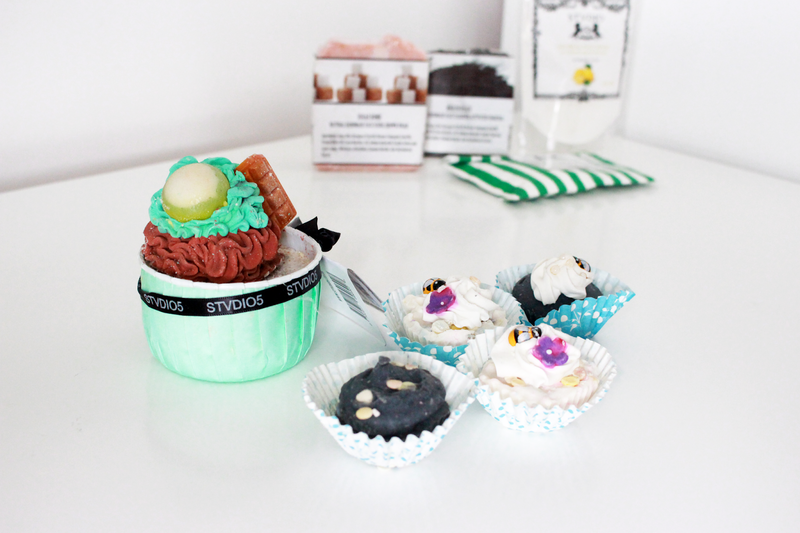 Cupcake Soaps Gift Box £12.50 // As well as being super natural and good for your skin, these also look too realistic that I could almost eat them! 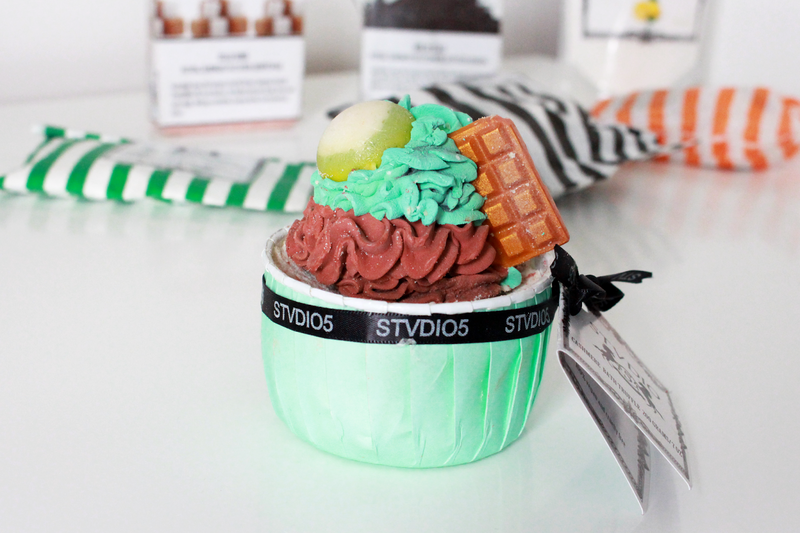 I love that the little soaps look like cupcakes as it makes them more exciting to use. They are also sold in a gift box and I think they would make the cutest present for someone who enjoys pampering themselves. Cashmere Bath Truffle £5.95 // This bath truffle smells like a very earthly chocolate cake and looks more like food than a bath bomb! The top of the truffle is made out of soap and underneath is a bath bomb made with olive oil and cocoa butter which leaves your skin feeling moisturised and soft. It dissolves instantly when hitting the water, I also think this would make a lovely gift for someone! 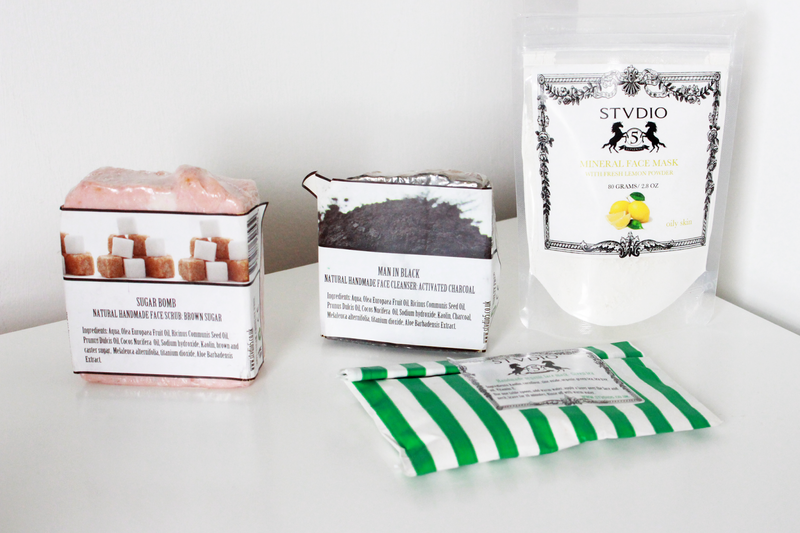 Sugar Bomb Face Scrub £5.75 // This face scrub was made using olive, coconut and almond oils. For a natural exfoliator they used Caster Sugar. I scrubbed this in circular motions on my T-Zone area as this is where I tend to get dry skin. I found this was perfect my skin as it wasn't to harsh and a much more gentle face scrub. Face Mask With Lemon Powder £5.95 // To use this handmade face mask you have to mix the powder with some warm water and layer it on your face when the consistency is like a smooth paste. I love face masks so I was really excited to try this one out. It has a earthy lemon scent and contains Zinc Oxide and Vitamin E which are used to repair damage skin cells. Again, my skin was left feeling soft afterwards but also quite tight as this product is recommended for people with oily skin and my skin type is Normal/Dry. I would recommend this for people with oily skin as it tones the complexion and tightens the pores. Man In Black Face Cleanser £5.75 // This was my first time using a charcoal face cleanser and I absolutely loved it, the product smells like Tea Tree as the oil was used to cleanse the skin from bacteria. It definitely removed all the makeup from my face which is great as the Estee Lauder Double Wear foundation is a pain to get off! I used the cleanser by scrubbing the bar on my hands then on to my face, it left my skin feeling smooth and moisturised. I think this product is best if you want a deep cleanse and I would only recommend using it once a week as you still need some oils in your face!